One of the most essential elements to job satisfaction is feeling that your work is actually making a positive and contributive impact on the company you’re working for. Many times this type of thing is difficult to track. WorkSimple aims to change all that. As a leading provider of Social Performance Management, WorkSimple helps employees identify and quantify their productivity. 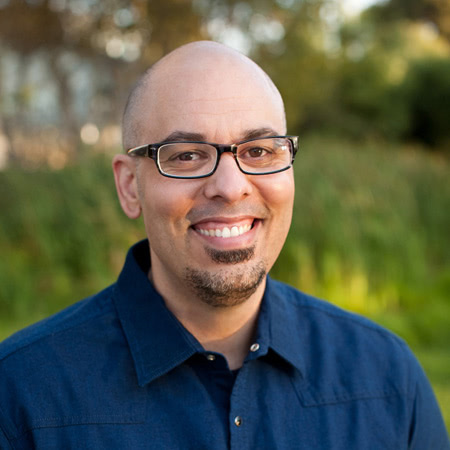 We caught up with Morgan Norman, co-founder and CEO, to find out why he believes WorkSimple is the “holy grail” for HR and leadership. Tell us a little more about WorkSimple. 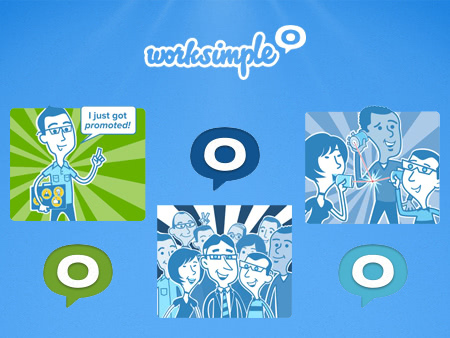 WorkSimple is a leading provider of Social Performance Management software for individuals, teams, and business. Our Social Performance platform helps individuals, teams, and businesses set focus, share social goals, get feedback, and boost results. We recently announced a major platform upgrade that further simplifies Social Performance. The new release – WorkSimple 4.0 – adds new design updates for simplicity, new Social Goals, Feedback and Discussions, Company and Personal Focuses, Social Alignment, Enterprise Privacy, File & Document Support, Reporting, and dozens of other features that help teams and companies optimize performance and improve the bottom line. What’s a typical day at WorkSimple look like? Checking in with everyone on the team on how things are going. All the while, WorkSimple helps reinforce where we’re going. We believe WorkSimple is tackling a big important problem. This is large problem for every employee, manager and leadership. For leaders, it’s how do we engage our team around our Mission, Vision, and Direction: How do we improve our communication in real-time while our organization is in constant flux? For employees, it’s: How do they feel about their accomplishments? What are they able to produce at the end of the year that is a real portfolio of how they impacted their team or business? For us at WorkSimple, the industry (talent management) is truly not benefiting the employee, manager or leader. These platforms are rarely used and are poor in terms of feedback, recognition, and even measuring results. We have to fix this. We have to change our perception of our people. We take the believe that everyone is a rockstar at your company and they just need a platform to show you their path, results, and impact. 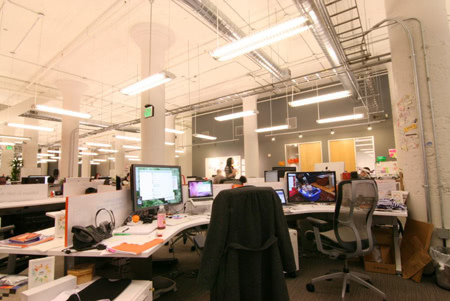 At WorkSimple we are in two core locations. While we have these core locations, we also have remote workers across the country. The concept of needing everyone together is fantastic, but you can staff up faster with remote staff — and potentially be just as productive. If this is the route you go, you have to really commit to daily communication: Skype, go to meetings, etc. This approach will help you hire faster and get more product out to market. Macbook Air, 24” Samsung monitor, empty coffee cups, a bottle of water, and some wrappers from lunch, some soy sauce from yesterdays sushi. The team lives on Green Tea over here. We are all hopped up on it. It’s easy to admire the ones who predict good markets and build stellar products, but I think the most interesting entrepreneurs are the ones that talk about their failures openly. They do this with the goal of helping everyone succeed. We are not investors, but think there are hundreds of companies to invest in. One we would personally invest in right now is Nextdoor. We believe we have changed an industry for good. The old school performance/talent management players have woken up. They know that employees and managers dread their platforms. We have helped pave a way for them with Social Goals. I believe this will help employees and everyday managers work better together. For the every modern day worker, we have given them an platform that will enable better working discussions with their co-workers and people managers. It’s just the beginning, but is an important step in how we perform together as a organization, team, or as individuals. Google services, Skype, Pivotal, WorkSimple, and GoToMeeting. We have a lot of WOWs here. For us, was the amount of interest in a personal version of WorkSimple. This caught us by surprise last year, but the market shapes your reality. We are currently focused on this evolution of WorkSimple and would just keep cranking on what we are doing. Once you know the problem you are solving it’s easy to take the first step. The problem was also personal — direct reports complained about performance reviews, complained that no one remembered their amazing accomplishments — and it was pretty easy from there. Many folks on the WorkSimple team realized they were no longer good employees in big organizations. They needed to be nimble and hyper-creative. They like to wear many hats. They have a passion for solving problems and bringing new ideas to market. No regrets, but there were a lot of lessons learned. One early lesson was doing the right things at the right time. Many times we would approach the right problem but the timing was off. We could have pushed some of these decisions out six months or eight months but tackled them early. The question we always ask is: Do we have do this now or can we push it out? Thanks Morgan! 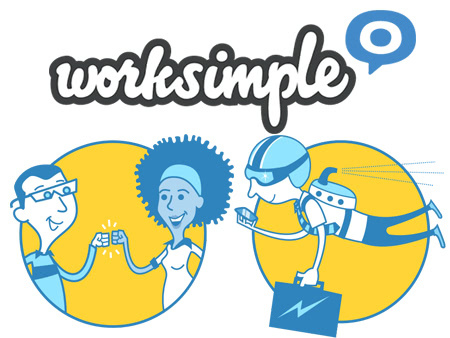 If you want to track your impact on a company and truly feel the fruits of your labor, make sure to check out WorkSimple and start feeling work proud.